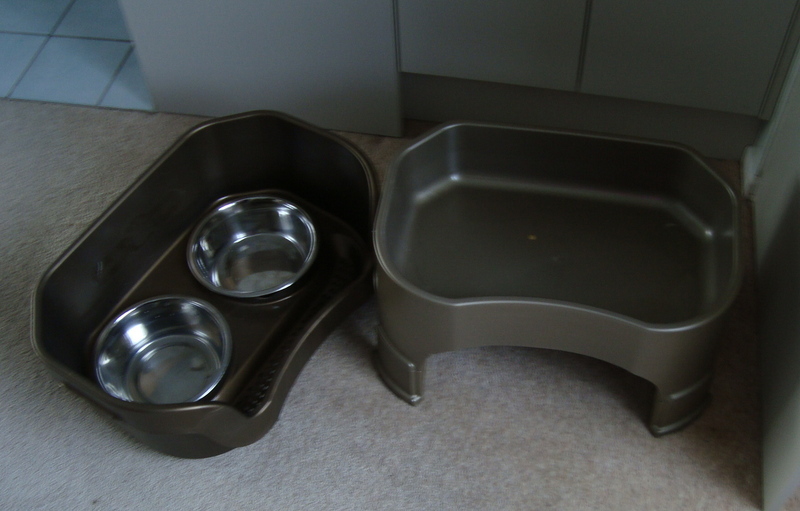 Quite some time ago, Daisy’s breeder mentioned that she fed her older dogs “on the step” – meaning that she placed the dog’s feeding bowl on the step leading into the kennels so they could eat from an elevated surface. 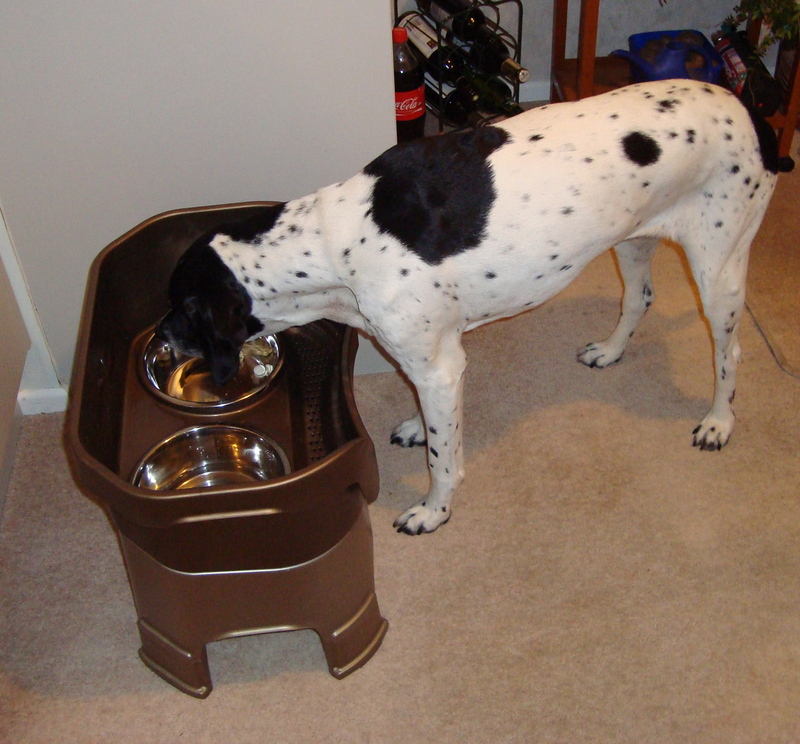 Eating from a raised feeder relieves strain on an aging dog’s neck and back. A dog also tends to raise its head after taking food or water into its mouth to help with swallowing. This is the time when spills commonly occur. Consequently, a raised feeder helps to keep the feeding area cleaner. The pet market is full of elevated or raised dog feeders and some seem highly impractical. (Yes – that bowl may look like a Tuscan pillar but it will also be top heavy – so unlikely to help you keep your dog’s feeding area clean) . I think the Neater Feeder wins hands down and Daisy agrees. The Neater Feeder comes with removable stainless steel bowls that can be placed in the dishwasher for easy cleaning and sterilising. It has optional legs to add height to the feeder (we use these on Daisy’s bowl). Best of all, the feeder comes with a drip tray. Simply remove the top layer of the feeder and you reveal a tray which catches all the spilled water in it. This saves time on cleaning but also saves you from messes on the floor. The Neater Feeder is made in the USA and is available through a wide range of stockists and directly through the company’s website. The company offers a 30 day money back guarantee on its product. 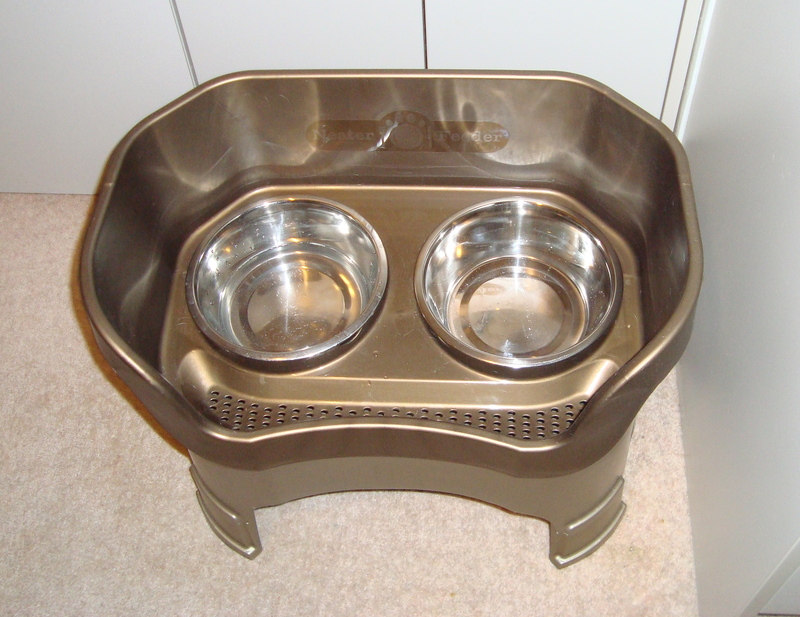 This entry was posted in products for dogs and tagged Dog, Neater Feeder, raised feeders. Bookmark the permalink.